In some situations, though, you might want to use something a little more specific. Or say a little more than just “sorry” as that might not be enough to cover all your mishaps. So here are a few more formal and respectful expressions that will make your apology sound truly heartfelt and sincere. Read this and you’ll become an expert in apologize in no time! People mostly use 打扰了 to apologize when they need to interrupt someone to ask for a favor. This is fitting as 打扰 means “interrupt/interruption”. In English, you’d say “excuse me” to get someone’s attention. Well, in Chinese you say “打扰了” or “打扰一下”(Pinyin：dǎ rǎo yī xià). This is a good way to get someone’s attention without being rude. 不好意思，打扰了, 最近的KTV在哪儿? Bù hǎoyìsi, dǎrǎole, zuìjìn de KTV zài nǎ'er? Excuse me, where is the closest KTV? 不好意思，打扰一下，请问王经理在吗？ Bù hǎoyìsi, dǎrǎo yīxià, qǐngwèn wáng jīnglǐ zài ma? Excuse me, may I ask if Manager Wang is here? Note: There might be three “apologetic” expressions in this sentence, but you’re just being a regular amount of polite. And a little formal. 麻烦 means “trouble”. Literally it means “to cause some troubles”. People use 麻烦了 when they want to apologize for the inconvenience they’ve caused or for troubles they brought or are bringing to others. It can also be used as a way of saying thank you or to show your gratefulness. 这件事情真的是麻烦你了，下次一定请你吃饭! Zhè jiàn shìqíng zhēn de shì máfan nǐle, xià cì yīdìng qǐng nǐ chīfàn! I’ve brought you so many troubles this time, I will definitively treat you to dinner! 请把这个文件交给203办公室，麻烦了。 Qǐng bǎ zhège wénjiàn jiāo gěi 203 bàngōngshì, máfanle. Please hand this document to office 203，thank you. 你真是个麻烦鬼! Nǐ zhēnshi gè máfan guǐ! You’re such a pain in the ***! 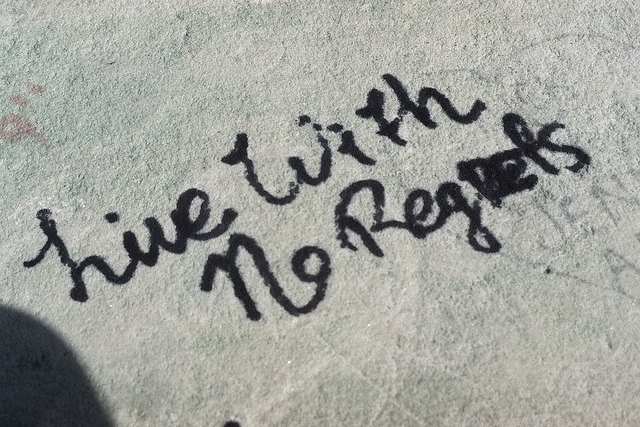 Live wit no regrets. But if you must feel regret, use 深感歉疚” (shēn gǎn qiàn jiù) or “非常惭愧” (fēi cháng cán kuì) to show how deeply you regret. When someone does something terrible that causes somebody a great deal of trouble, the troublemaker can use “深感歉疚” (shēn gǎn qiàn jiù) or “非常惭愧” (fēi cháng cán kuì) to show how deeply he or she regrets. Both are mostly used in situations where serious damage was caused. So, in a everyday situation, it’s best to avoid using these words or people will think you are making a big deal out of nothing! How do you know which one you should use when? 歉疚 means to regret with a undertone of being sorry whereas 惭愧 means regret mixed with shame. So… it depends on how bad you feel about what happened! 对公司造成这么大的影响，我深感歉疚。 Duì gōngsī zàochéng zhème dà de yǐngxiǎng, wǒ shēn gǎn qiànjiù. I’m so sorry. I regret I was such a bad influence for the company. 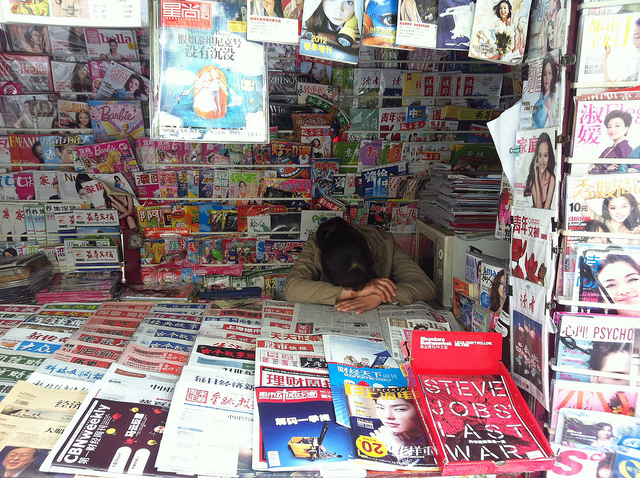 Example 2： Your manager gave you five hours to write the company’s annual report and you fell asleep on the job. Shame ensues. You use “非常惭愧”. 我没有按时间完成任务，辜负了大家的期望，我非常惭愧。 Wǒ méiyǒu àn shíjiān wánchéng rènwù, gūfùle dàjiā de qīwàng, wǒ fēicháng cánkuì. I didn’t finish my job in time. I failed to live up to everyone’s expectations. I feel so ashamed and I regret this. Like we’d forgive this kitten. His adorable mug has to be hiding something! Ok, ok, maybe we will. “多多包涵” (duō duō bāo han) and“请你原谅” (qǐng nǐ yuán liàng) are two respectful ways to ask for forgiveness. They are mostly used around the office or in formal situations. These expressions allow you to ask for forgiveness without losing face, which is crucial in China! “包涵” means to bear, so “多多包涵” means “to bear with it a lot”, i.e. bear with it, please don’t get angry and upset. People use this expression when they make a mistake or when they’ve disturbed or bothered someone, and want to discreetly ask for forgiveness. 多多包涵 is now also often used as a polite way to be modest and courteous. New employees use it a lot in their first self-introduction in the office. Your son fed his homework to his hamster and you hope it won’t reflect badly on you. 孩子这次犯了错误，还希望老师多多包涵。 Háizi zhè cì fànle cuòwù, hái xīwàng lǎoshī duōduō bāohan. Our son made a mistake this time, I hope the teacher will forgive him. 要是我有什么做的不周到的地方，还希望大家能多多包涵。 Yàoshi wǒ yǒu shé me zuò de bù zhōudào dì dìfāng, hái xīwàng dàjiā néng duōduō bāohan. If I did anything inappropriate, I hope everyone can forgive me. 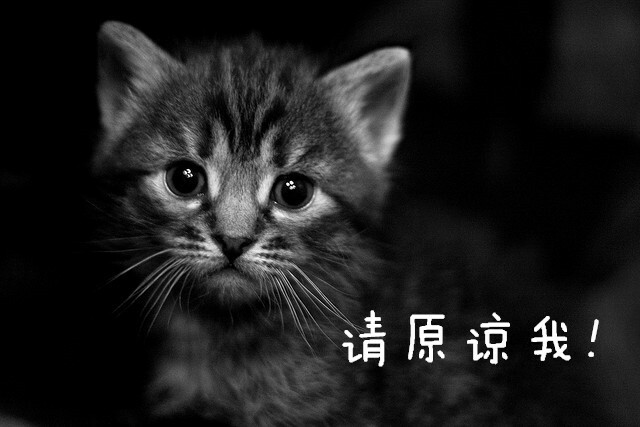 “请你原谅” means “to forgive” and “请原谅我” means “please forgive me”. It is a really respectful way to say sorry, because you’re asking, nay, begging for forgiveness. Usually, people say this right after admitting their mistake. You ate your colleague’s lunch box (it wasn’t labelled properly in the fridge and you were hungry but still, now you feel really bad). 对不起，这是我的错，请原谅我。 Duìbùqǐ, zhè shì wǒ de cuò, qǐng yuánliàng wǒ. Sorry, this is my fault, please forgive me. So there you have it! 6 new expressions so you can express the full range of your apologetic feelings. Whether you’re sorry, deeply sorry, ashamed, regretful, begging for forgiveness or just getting ready to ask someone for a favor, we hope you’ll find in this list the Chinese expression that suits your need! Here’s a summary of these 6 new expressions. May your apologies flow smoothly now! 多多包涵 duōduō bāohan litterally please bear with it - i.e. please forgive me. 请原谅我 qǐng yuánliàng wǒ Please forgive me. Did we leave one out? Which expressions do you use the most? Let us know in the comments!